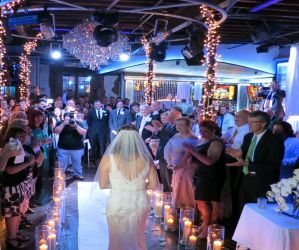 Bourbon Heat is a dynamic, versatile venue with an array of options to meet the particular needs of your event. 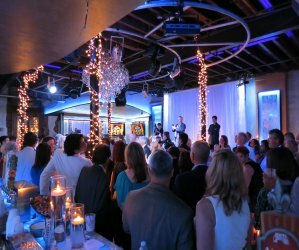 Our goal is to make every event unique and memorable. Our lush courtyard and bar provides the quintessential French Quarter experience. The club with its AV equipment and DJ booth sets the mood for any social or corporate gathering. Finally, the 50-foot balcony over Bourbon Street allows your guests to partake in Bourbon Street’s electric atmosphere. We are available for complete buyouts or small dinners or cocktail parties for as few as 20. Our Courtyard has served as the venue for everything from barbeques and seafood boils to buffet dinners and cocktail parties. The Club upstairs has been the venue for birthday, anniversary and graduation parties as well as corporate buffets and cocktail parties. Our menu offers your guests to experience the Creole and Cajun cuisines South Louisiana is known for. Whether it is a cocktail party or buffet dinner we create a menu that fits your individual needs. 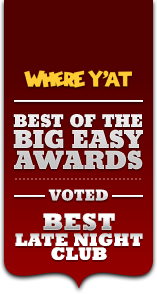 The Staff and Management of Bourbon Heat strives to put the best product out there everyday. We invite you to partake in our hospitality. Above all we thank you for your consideration. 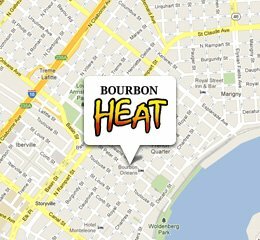 Entertainment - We feature the regions top DJs at Bourbon Heat. We can provide a DJ to play to the needs of your group. WE can also provide a host to create an interactive atmosphere for your event. Additionally is you require live music we can also make those arrangements for you. Decor - Club upstairs features lit columns a lit bar and globe lights that can be programed to the colors you desire. Additionally we have relationships with event companies that can bring in any additional decor you require. Audio Visual - Any audio visual message you may want broadcast during your event can be done on the 10 big screen TVs and projection screen in the club and for buy outs that message can be seen on all 22 TVs throughout the club. Any addition A/V needs can be arranged with notice.